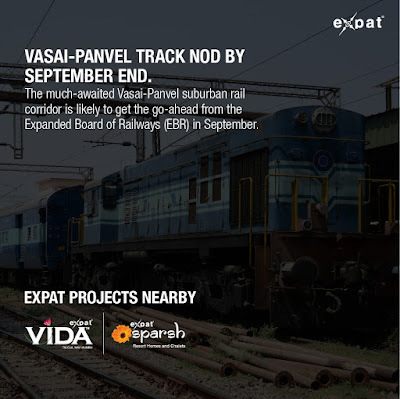 The much-awaited Vasai-Panvel suburban rail corridor is likely to get the go-ahead from the Expanded Board of Railways (EBR) — the central agency made up of senior officials of the Railway Ministry, NITI Ayog and financiers — by the end of September. The railway link is expected to improve connectivity across the Mumbai Metropolitan Region (MMR) and make it more accessible. This is fourth suburban rail project — after the Mumbai Urban Transport Project (MUTP) III — to receive the go-ahead from EBR within a month. The 74km Vasai-Panvel suburban corridor worth Rs5, 600crore will have 10 suburban stations and will connect Navi Mumbai directly to the Vasai-Virar-Dahanu section. The project is expected to be complete by 2021. Currently, more than 2.5 lakh commuters use the existing two railway lines, on which long-distance and goods trains mainly operate. The Central Railways also operates around 14 Diesel Electric Multiple Units (DEMU) and Mainline Electric Multiple Unit (MEMU) services, which are often overcrowded. The frequency is poor as one service plys every two hours. 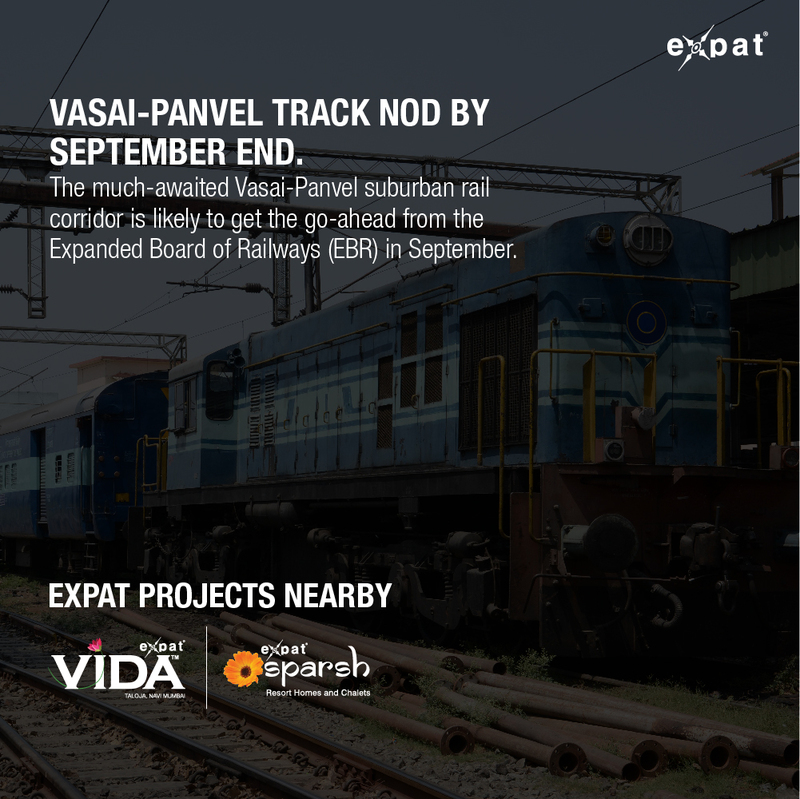 “We support the Vasai-Panvel suburban corridor as it will augment passenger capacity to a great extent in Mumbai. MUTP III and Vasai-Panvel will together provide great connectivity to the MMR. The project has been cleared by us and will be tabled before the EBR within 10 days,” said Manoj Singh, adviser (transport), National Institution for Transforming India (NITI) Ayog. For 70 lakh suburban commuters, the MUTP III and the Vasai-Panvel corridor could translate into and easier, faster and more comfortable commute by 2021. The project could also open up large parcels of land near Nilaje, Dativali, Juchandra, Kaman Road, Kharbao, Taloja and Navade Road for development. Housing and commercial projects are already being developed in Kharbao and Taloja. The projects approved under MUTP III involves expanding the suburban rail network up to Dahanu by constructing a third and fourth line between Virar-Dahanu (63km) and Airoli-Kalwa (4km),which will provide easier access for commuters between Kalyan-Panvel and Panvel-Karjat (28km). All these projects are likely to receive the Cabinet Committee of Economic Affairs (CCEA) approval in October, after which they are likely to be launched by Prime Minister Narendra Modi during his visit to the city on October 31, ahead of the 2017 civic polls.